It's one thing to look at data in a table about where birds live and their migration patterns, but it's a whole lot more fun to see animated representations of these data - and easier to picture the range of birds in our minds. eBird, a bird project supported by Cornell Lab of Ornithology and the National Audubon Society, has animated maps showing occurrences of selected species throughout the year and other great information about bird monitoring in the United States. "These maps, which are called STEM (Spatio-Temporal Exploratory Model) maps, use eBird stationary and traveling count checklists that report all species. The location of each checklist is associated with remotely-sensed information on habitat, climate, human population, and demographics generating a suite of approximately 60 variables describing the environment where eBird searches take place. By relating these environmental variables to observed occurrences, STEM is used to make predictions at unsampled locations and times. Models are trained one species at a time. Following model training, the expected occurrence for that species is predicted on each of 52 days, one per week throughout 2009, at some 130,000 locations sampled throughout the conterminous US. This massive volume of information is then summarized on maps, which in many cases reveal novel information about the annual cycles of North American birds. These maps showcase the power of eBird – year-round, continental-scale monitoring of all species. "Each species map is displayed with a text overview of the broad-scale migration patterns, along with an interesting biological story to consider. " Visit the website, eBird.org, to see these maps, results of Christmas and other national bird counts, and more interesting information on wild birds. Meleagris gallopavo is the wild turkey species native to North America, while the ocellated turkey (Meleagris ocellata) hails from Mexico. Turkeys got their name because the first Europeans to land in the New World thought the birds were related to guineafowl, which had been imported into Europe from Turkey and so were also known as “Turkey fowl.” Our native turkeys are actually in another bird family that also includes pheasants. Both families belong to the order Galliformes, which includes other large ground-dwelling birds, such as chickens and grouse. The start of turkey domestication is in some dispute but apparently dates back about 2000 years to the Mayans or Aztecs. The Muscovy duck is the only other domesticated bird species originating in the New World. European explorers took wild turkeys to Europe from Mexico in the early 1500s, then the domestic version was brought back with English colonists when they settled on the Atlantic Coast. According to the Virginia Department of Game and Inland Fisheries (VDGIF), wild turkeys mate in the spring, laying their eggs in dead leaves or vegetation in a depression on the ground, with the young generally emerging from their shells in early June. Hens raise the chicks on their own, although the young soon learn to forage for themselves. A rafter of turkeys walking through a forest always reminds me of a royal procession, with the participants moving slowly and gracefully, casting their gaze from side to side. Hens and their broods may join together into bands of more than 30 birds, with some winter groups exceeding 200. Turkeys have black, brown and white feathers and fan-shaped tails, which males proudly display when courting. The brown tips of the tail feathers distinguish the wild turkey from the domestic variety, whose tail feathers are tipped in white. Male turkeys, and some females, have beards. 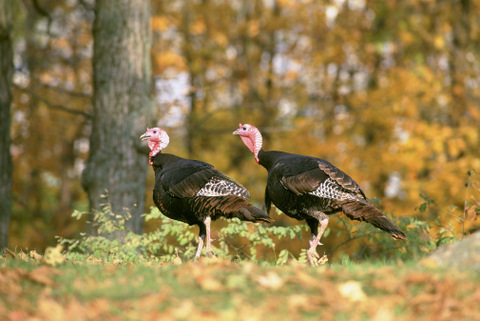 Those of the males, referred to as “Toms” or “gobblers,” can grow up to a foot long. With heads normally a subdued gray, in spring the toms change to their courtship colors—white foreheads, deep scarlet necks, and bright blue faces. In Virginia, grown males average 17–19 pounds in the spring, according VDGIF. While the turkey’s gobble is a familiar and often imitated sound, these birds can also be remarkably quiet. While walking in a forest I’ve been startled several times to turn my head and find a turkey sitting quietly at eye level in a tree just a few feet from me. Once they know they’ve been spotted, any grace they have on the ground is belied by their noisy and awkward flight to the nearest treetop. Turkeys make a variety of habitats their home, with a combination of forest and open land being preferred. An omnivore that will eat nuts, seeds, fruits, insects, buds, fern fronds, and salamanders, according to VDGIF, they are especially fond of acorns. They pick these on the basis of their size and shape, since turkeys do not have an acute sense of smell. As with deer, in a good acorn year like this one, turkeys are more likely to stick to the forest where the seeds are abundant and hunters are hindered. Other predators—especially of the eggs and young—include snakes, skunks, crows, ravens, opossums, raccoons, rodents, dogs and coyotes. Conversion of forest to other uses and overhunting (mostly for the market) led to the disappearance of wild turkey in two-thirds of Virginia and its becoming rare in other sections, with populations hitting their nadir by around 1880 to 1910. Reforestation and other conservation efforts have brought populations up to an estimated 180,000 statewide, according to VDGIF. In the 1940s wild turkey were caught and reestablished throughout all the states except Alaska. This is just a quick post, since I have deadlines out the wazoo. I just wanted to share what I'm seeing from my kitchen, where I often work in the morning so I can see the activity at my bird feeders on the deck. Right now, in our first "real" snow (although it probably won't amount to much), they're being mobbed by Goldfinches, the bird mafia. I know they're cute, and gorgeous when they change to their yellow breeding colors in the summer, but they show up in such numbers - at least a dozen right now - that other birds have a hard time finding a spot to feed. I not only put up two feeders with a high-protein mix of seeds and nuts but also a Nyjer feeder and a suet feeder. These are all hung from the roof over the deck, so they're sheltered. To give the ground-feeding birds, and all the other nonfinch guys, a shot I also spread out seed along the deck railing and floor. Right now, other than the finches, there are Northern Cardinals, White-Breasted Nuthatches, a white-throated sparrow, Titmice, and Carolina Chickadees. A few feet from the deck is an ancient tree that is a favorite of woodpeckers and bluebirds this time of year, since it's undoubtedly loaded with insects. The king of Virginia woodpeckers, the Pileated, worked that tree for quite a while before moving on to others. Out front, in a hanging tray feeder, more cardinals, sparrows, and a Blue Jay. I was happy to hear that our local farmers' co-op had switched to high-quality, certified bird feed, so I feel better about what I'm feeding the mob, even though they're likely to run me into the poor house. It’s that time of year. The days are getting shorter and colder, and in the face of oncoming winter, most of us start thinking about being warm in our abodes with plenty of food at hand. We’re not alone in our thinking—or in our houses. That pitter patter of little feet and gnawing at night could be a native white-footed mouse, meadow vole or meadow jumping mouse, but more likely it is Mus musculus, the common house mouse. The house mouse is usually happy on its own outside in warm weather, but it starts looking for better shelter and food as the winter approaches. As its name implies, the species long ago figured out that we humans offer comfy digs. Being mouse free since I moved into my new house in February, I was dismayed when a family of mice apparently took advantage of my being gone on vacation over Labor Day week to set up winter housekeeping early. I bought a couple of live traps, caught nine of the little critters in one week, and thought I was done—until mouse poop started to show up in the kitchen again. It seems as if mice sit around thinking about the most offensive place they can leave their poop and strategically place it there—on the kitchen counter, in the silverware drawer…. The average house mouse is 6 inches long (the tail making up a little more than half of the total) and weighs up to one ounce. It is superbly designed to get into almost any opening, needing only about one-quarter inch of clearance. Dryer vents and spaces around pipes and wiring can be entry points if not sufficiently blocked. The house mouse will consume anything organic, although they prefer cereal grains and vegetables. It has a lifespan in the wild of about two years, and the females can give birth to several litters of 3–10 young each year. They tend to colonize, especially in the winter to conserve heat, and are nocturnal when enough food is available. Although we learned as kids that mice go “squeak,” the house mouse actually has a wide range of vocalizations. 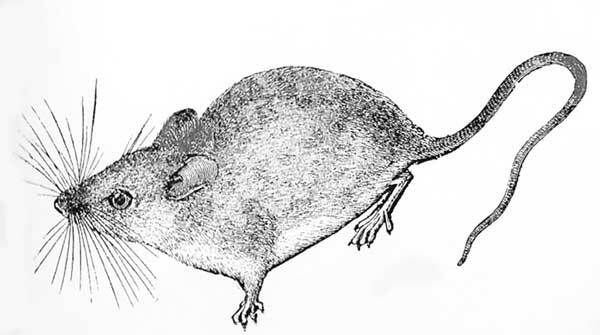 Mus musculus is not native to Virginia but came over from Europe in ships with the colonists. Except for humans, it is the most widely distributed mammal on the planet. Highly adaptive, it’s been nominated as “among 100 of the ‘World’s Worst’ invaders” by the International Union for Conservation of Nature (IUCN). While the house mouse is host to a range of diseases and parasites that can infect humans, including bubonic plague and salmonella, IUCN describes them as “relatively unimportant” as vectors for transmitting these diseases to humans. 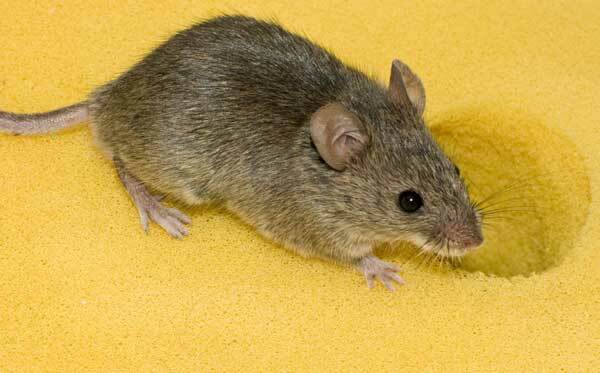 Unlike deer mice, they do not carry hantavirus. Mice can damage crops and even prey on the young of other animals, sometimes endangering native species, but they also provide some benefit by eating pest insects and are also widely used in laboratory research. Predators include owls, hawks, fox, coyotes, weasels, raccoons and cats, although I the best mouser I ever came across was a dog named Rhubarb on the ranch where I worked in Wyoming. She could clean out a feed room in a matter of minutes. I seem to be dealing with just one mouse in my house at this point—one apparently immune to the lure of peanut butter in a live trap. I’ve considered and rejected most other removal strategies, including using snap traps (invented in the nineteenth century) and poisons, and repellents ranging from noise to chemicals. Although some people even risk serious health issues by using mothballs, the chemicals in them can cause all kinds of respiratory and other health issues. I hate to kill anything, find sticky traps to be cruel, and avoid poisons and other chemicals because of health risks to other living things. So I use live traps. I release my prisoners far from any house. Despite what some may say, mice are quick and brave. I’ve had them try to use me as cover when other options were not available, so I make sure I let them loose somewhere they can easily get under cover. Predators may get them, they may freeze or starve, but at least they’re back in the food chain and out of my kitchen. Like most house pests, the best way to handle an infestation of mice is to keep them from getting into your house in the first place. Use caulking around outside entry points and caulking, steel wool or insulation for inside points. If you can’t keep them out, store food in containers or pantries that are mouse proof. Although I raised mice as pets when I was a kid, using them for a science-fair project on genetics, their propensity for chewing up anything they can and spreading their excretions around make them unwelcome guests in my house these days. I haven’t figured out that entry point yet, but I will. In the meantime, I’m wondering if I should switch peanut butter brands. Nine out of ten mice seemed to like what I’m using, so what’s with this guy? 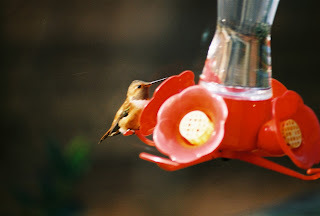 Is that a Rufous Hummingbird at Your Feeder? a feeder on the Northern Neck. 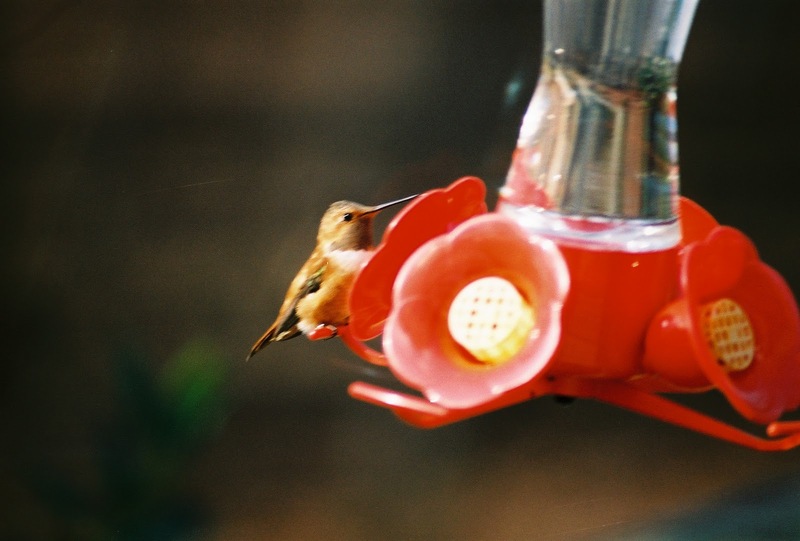 A lot of us in Virginia enjoy feeding hummingbirds, putting our nectar feeders out in the spring at the first sign of their arrival, and taking them in after the last hummer disappears for its long trek south in the fall. While at my brothers' in Southeast Alaska this fall, we were watching rufous hummingbirds (Selasphorus rufus) at his feeders, swapping stories about his hummers and mine here in Virginia, the ruby-throated (Archiochus colubris). I bemoaned the fact that each of us only got to see one species of hummer where we lived. While species have a habit of adapting as conditions change, I was still surprised last week to see a posting on a conservation e-mail list from a Master Naturalist on the Northern Neck, Fawn Palmer, describing what she thought was a rufous hummer at her feeder. So I started doing research. I found out that the range of the rufous had expanded into the Virginia in the 1980s and now extends all the way up the East Coast into the Canadian Maritimes, according to Bruce Peterjohn, chief of the Banding Laboratory of the the U.S. Geological Survey's Patuxent Wildlife Research Center. Palmer had contacted Peterjohn to come confirm the identity of the hummer at her feeder, which he did. According to Hummingbirds.net, the rufous is “the most widely distributed hummingbird in North America” and have even been spotted in Siberia. I found a map, at Learners.org that animated the number of sightings along the East Coast as the year progressed. So why hadn't I heard about this? The number of rufous in Virginia has “soared” since the late 1980s, according to the Virginia Society of Ornithology's 2007 Virginia's Birdlife: An Annotated Checklist, but that means from one in 1987 to 13 in 2001. Although its populations continue to increase, the book describes the species as a “rare but increasingly fall transient and winter visitor” throughout Virginia. I also did a quick poll of some birders I know in the Piedmont and got several reports of the rufous showing up at feeders this year or in past years and one being recorded in a Central Loudoun [County] Christmas Bird Count. An individual Selasphorus rufus can also fly an incredible distance annually. The Checklist cites an immature female that was captured and banded in Chesterfield, Virginia (a few miles south of Richmond) on November 29, 2001. This bird was recaptured near Red Lodge, Montana, in August 2002, and then recaptured again at the same feeder in Chesterfield on December 1, 2002. That's almost 6,000 miles of traveling in a year—maybe more, since migration of hummingbirds tend to be “U” shaped, dipping to the south. The expansion in its range is not the only interesting thing about the rufous. Measuring in at a whopping maximum 3.5 inches and 0.12 ounces for the females (who are larger than the males), this tiny bird is often described as being “tough,” “feisty,” and agile enough to outmaneuver other hummers at feeders. It could be that even more rufous have made Virginia part of their range, as identifying this species can be tricky. The males, mostly garbed in iridescent rufous (the color of oxidized iron), are pretty easy to identify during much of the year. However, during molt, when they swap out old feathers for new, they lose this bright coloration. Females and especially the young are hard to identify at any time of the year. They can be confused with ruby-throated, and for another bird, the Allen's hummingbird (Selaphorus sasin). 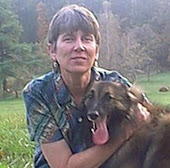 The Allen's shares the rufous' breeding ground in Mexico and has also expanded its range into Virginia. The females and young are so similar between the rufous and Allen's, says Peterjohn, that he has to use a caliper to measure the outer tail feathers, which are millimeters wider on the rufous, to tell the two species apart. The ratio of rufous to Allen's in Virginia is about 15:1, according to Peterjohn, so sightings are more likely to be of the former. 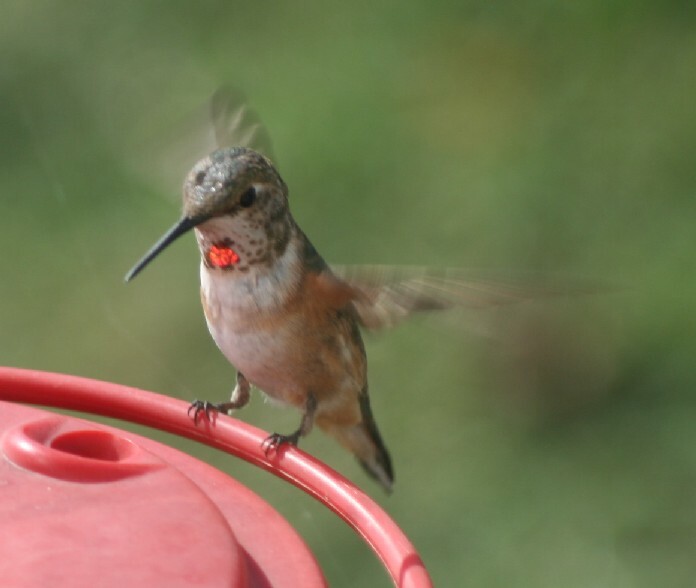 Another interesting thing about rufous hummers is that, although they usually arrive here in August, most sightings are in October through December, and even through the winter. How do they survive when the nectar-producing flowers are gone for the year? While it's true that hummers generally prefer nectar when available, when that''s not available, they rely on insects for food, especially to feed their young. Insects will also appear throughout the fall and winter here whenever temperatures get above 40 degrees. What about when it's colder? That's where we humans come in. The rufous can overwinter here only if we feed them. The increase in the number of people feeding this them is why their range has expanded, says Peterjohn.